* "Laguiole" knives: Genuine or Imitation? * So how does a buyer choose? * How can I decide te size of my knife? * What’s about the “Guilloché” range? * What is your guarantee policy? * What's your delivery time? * What sort of steel should I chose for my blade? * How should I maintain and sharpen my knife? "Laguiole" knives: Genuine or Imitation? How do you tell? The answer is simple. Neither ! There are only good and bad knives. "Laguiole" is neither a trademark nor a company name. Rather, "Laguiole" is the name of a small village in the Massif Central region in France. The name became associated with a specific shape of a traditional knife, common to this area. The popularity of this shape quickly created marketing opportunities. "Laguiole" -- coined with the words genuine or authentic -- is inaccurate and misleading. It only serves to create confusion in the marketplace. "Laguiole" knives and cutlery can be manufactured in China, France and elsewhere. The price often reflects the quality. Be cautious about “guarantee certificates” without the name and the address of the manufacturer. So how does a buyer choose? Like most purchases, discernment regarding materials, craftsmanship and business practices ensure customer satisfaction. An "anonymous" knife - only identified by "Laguiole" - is never a good knife. It is most likely made of inexpensive materials and mass (imported) produced. A quality manufacturer will proudly emboss his trademark or signature into the steel of his knives. "Made in France" will often be embossed as well. This is the origin's guarantee. Quality Laguiole knives are handcrafted in France by skilled workers. Each knife is meticulously built with more than 100 separate operations. In some cases, the product can incur an additional 50 steps to create the final piece. Finally, the price reflects this time laden, skilled artisan process. Our knives are branded Gilles® and embossed "Handmade in France" on the other side of the blade. In addition, a numbered certificate comes with each knife. 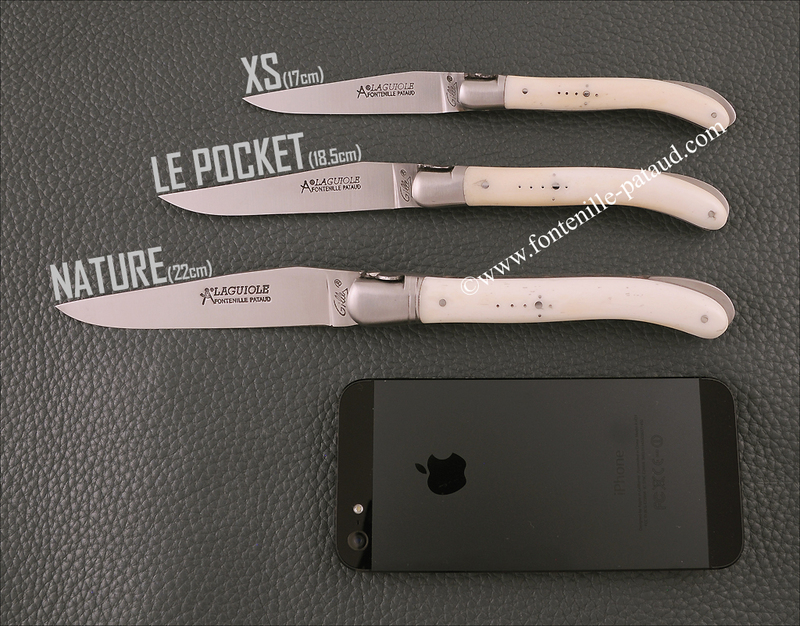 Fontenille-Pataud was the first French manufacturer to offer the Laguiole and other high end knives on line. Since 1998, our quality knives and reputation has been embraced throughout the world. Your satisfaction matters. We understand your inquiry is urgent. We respond your e-mails as quickly as possible. If you need immediate attention, we encourage you to call us at +33.473.80.18.34 (English speaking, normal rates apply, Paris time). We accept phone orders as well. Our knives can also be personalized. This service ensures a one of a kind, unique gift. Have a look on the pictures and video on this link. We offer different shipping and payment options. We are confident we can work together to accommodate your needs and requirements. We take great pride in our work. Our knives are handcrafted in Thiers, France. 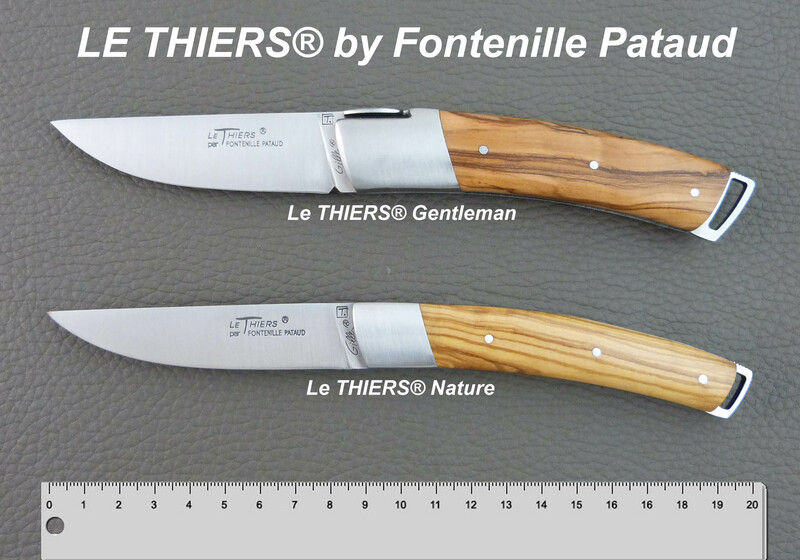 Thiers has been the hub of French cutlery and knives for more than 600 years. Each knife is crafted by a small team of men and women. These artisans have earned their degree from the oldest cutlery school in Thiers. This honored tradition is embedded in our business practice. Each year we hire a new apprentice. This young person works three weeks in our firm, then one week at the cutlery school. This process continues for two years, until the degree is earned. How can I decide the size of my knife? What’s about the “Guilloché” range? The “guillochage” is the name for the file work. All of our Laguiole knives are made with a forged “bee” spring featuring a file work. But the « Guilloché » range is superior : in addition of the spring file work, the liners and the top of the blade are chiseled as well. The quality of our workmanship and careful selection of materials allows us to guarantee* our Laguiole, Thiers, Corsican and other French folding knives against all manufacturing defects in normal use. “Normal use” is defined as a knife made exclusively for cutting common materials. It also applies to the normal use and care defined within the product description. Folding knives are NOT dishwasher safe. Our guarantee is a product warranty. It guarantees against any product defect due to material or workmanship. Shipping and handling are the responsibility of the purchaser and selected carrier.  Cutlery and Canteens of cutlery : approx. 1 week. Pocket knives : several days, except in the case of personalized knives (2 -3 weeks). Feel free to use the comment section of the order form, providing us your deadline or writing URGENT ORDER. We do understand and take care of your deadline. What sort of steel should I chose for my blade? The XC75 carbon steel is not stainless. The blade gets dark by the time. It is appropriate for those who look for the good old fashioned knives style. Very easy to sharpen, it is “our grand fathers” steel. Lastly, there the Damascus steels. Damascus steels are for the knife maker what gold is for the jeweler. IMPORTANT: We have chosen to manufacture our Damascus blades with Damascus stainless steel bars sourced at Damasteel, Sweden (Damasteel). Given its expense, the Damascus steel is expected to retain its beauty through the years : this is what we do guarantee. A carbon steel Damascus is more "traditional" although it would lose the visible patterns through time. It can also rust if not wiped with some regularity. This is why we prefer to manufacture stainless steel instead of carbon steel Damascus. How should I maintain and sharpen my knife? Most of our knives do not require any maintenance because of their excellent stainless steel structure. That said, a drop of oil into the mechanism will help. The elderly would recommend "never wash a knife; just wipe it". Please respect the knife!  The pocket knife is a precision instrument : It is not dishwasher safe ! For sharpening, we recommend our local fellow manufacturer and distributor Fischer and their sharpening product line. There are many way to sharpen a blade although there is one golden trick: remember to sharpen the blade BEFORE it becomes blunt !